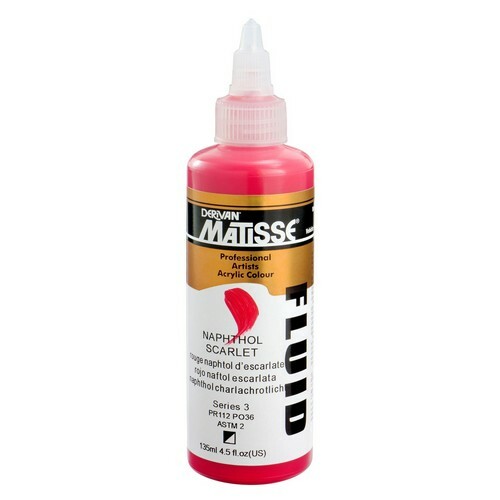 Matisse Fluid Acrylics Are A Highly Liquified Professional Acrylic Paint With The Viscosity That Is Very Smooth, Runny But Slightly Dense. Be Spread Easily With A Brush Or Mixed With Water To Reveal The Colour Graduation. 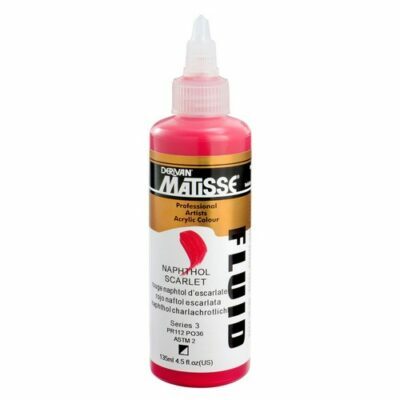 The Intensity Of The Colour Is What Makes Matisse Fluid Ideal For Acrylic Pouring And Use In Self Leveling Gels. The Consistency Easy Allows Precise Drop-By-Drop Addition To All Acrylic Painting Mediums. The Super Runny Viscosity Allows The Paint To Be Used For Fine Brushwork Without The Need For Water Dilution. This Paint Gives A Fine Flow With A Low-Sheen Finish And Good Levelling.